The CX-111 was one of Audix’ first large-diaphragm condenser mics, released in 1998. 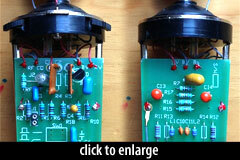 It is a large diaphragm mic with a transformer-coupled output circuit, switchable pad and filter. It is similar to the CX-101, which had the same capsule (according to Audix) and presumably a similar circuit, without the two switches. The capsule in both mics was a single-sided K67 type with a 33mm outside diameter. The CX-111, unlike the CX-101 or CX-112, had a distinctive perforated grille rather than the more traditional metal mesh. Alhough this probably affected the high-frequency response of the mic, the published frequency graphs for the CX-111 and CX-101 were identical. The CX-111 circuit bears many similarities to other transformer-coupled mics of the day, including the MXL 2001 and ADK A-51. 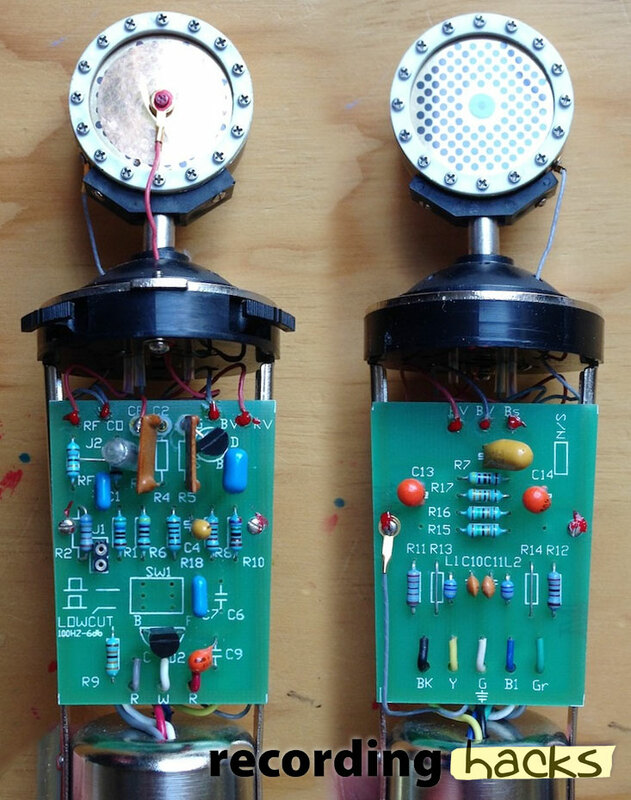 It appears to use the same 2-stage transistor circuit, presumably with negative feedback to apply corrective EQ to the K67 capsule. This would give the mic a more neutral high-frequency response, unlike many of the low-cost transformerless mics that have been made since. We anticipate a strong demand for this product for both studio and live broadcast applications. We’re aiming not only at the home and project studios ready to upgrade their mics, but also at larger studios that never have enough good-sounding, large-capsule mics.